Being an engineer and a gear-head, I love motor racing. And there is no better combination between engineering, racing and just plain cool factor than the 24 Hours of Le Mans. You have incredibly diverse and fast cars racing on a crowded track continuously for 24 hours with two drivers hot-seating. What better way is there for an engineer to demonstrate the performance and reliability of his/her creation? It’s also a race where fuel efficiency counts for a lot. Audi took advantage of these characteristics when they decided to enter a diesel race car in the 2006 Le Mans series, taking checkered flags in the 12 Hours of Sebring and the 24 Hours of Le Mans. Diesels have been dominant in the series ever since (and the popularity of Audi TDI engines has been growing globally). 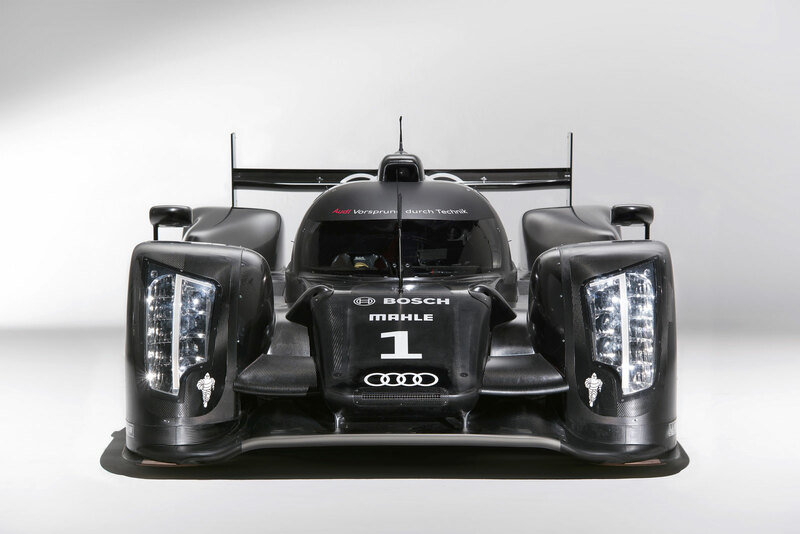 The newest Audi R18 TDI Le Mans car - A car Darth Vader would be proud of. I can’t help but think that the CCI engine would outperform even the Audi and Peugeot diesels. You can get 30% more laps out of a tank of fuel AND you will be lighter. The only thing I can think of that would not be as good from a racing perspective is that it would not be as loud, and all true racing fans love the thrill you feel in your stomach at the sound of a high-revving un-muffled racing engine. The rules of the LMP1 category allow for low (or no) production diesel engines and I think might be the only major race category in the world where we would be able to showcase the CCI engine. Anyone out there want to help fund a CCI engine development project for a Le Mans bid? This entry was posted in Stuff Ed Likes by Ed O'Malley. Bookmark the permalink. Πολύ ενδιαφέρουσα η άποψη σου θα το μοιράσω και σε πολλούς άλλους να το μάθουν. το site και με βοήθησε πάρα πολύ στη δουλειά μου.